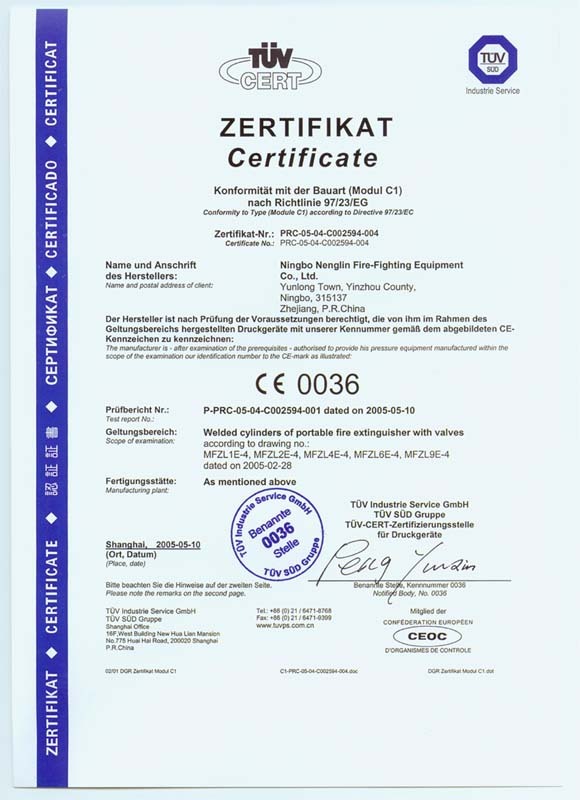 Our company is established in December of 1971, which is a specialized manufacturer to produce and distributing fire extinguishing agent and fire extinguisher.Our Company has 162 registered employees and a covering area of 25,000 m2, which the construction area is 22,000 m2. 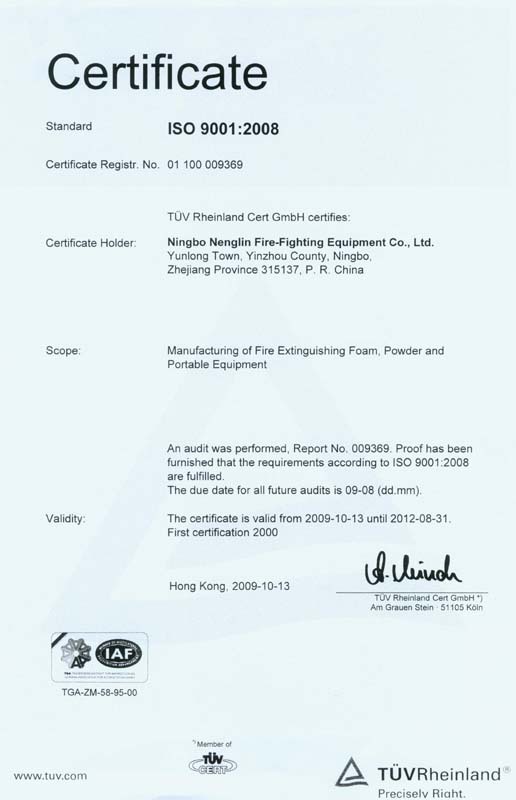 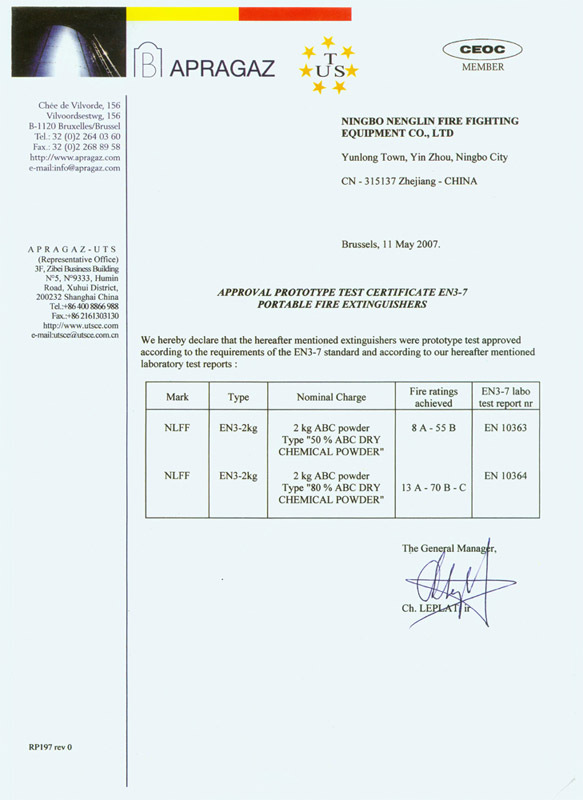 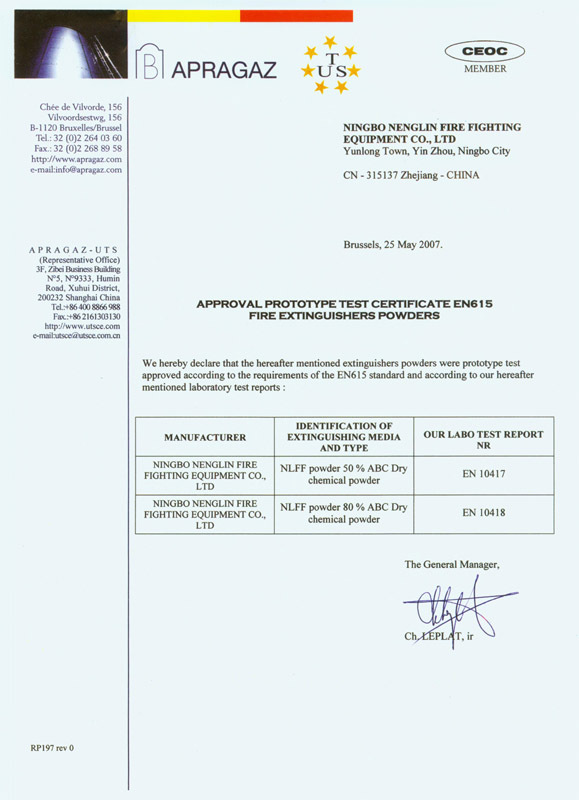 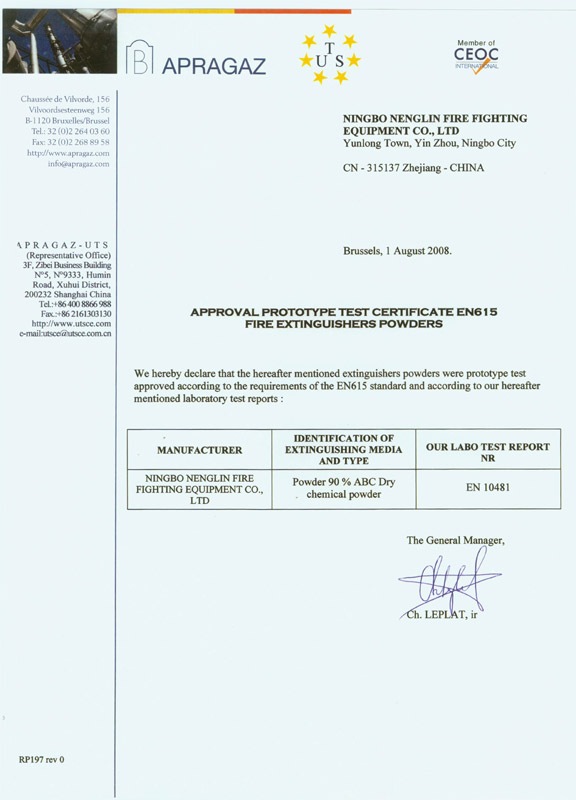 At present, Company has two powder extinguishing agent product lines, which productivity are 12, 000 ton per year; and two foam extinguishing agent product lines, which productivity of Protein and Fluoro Protein foam are 3,000 ton per year and productivity of other chemical foam are 2,000 ton per year. 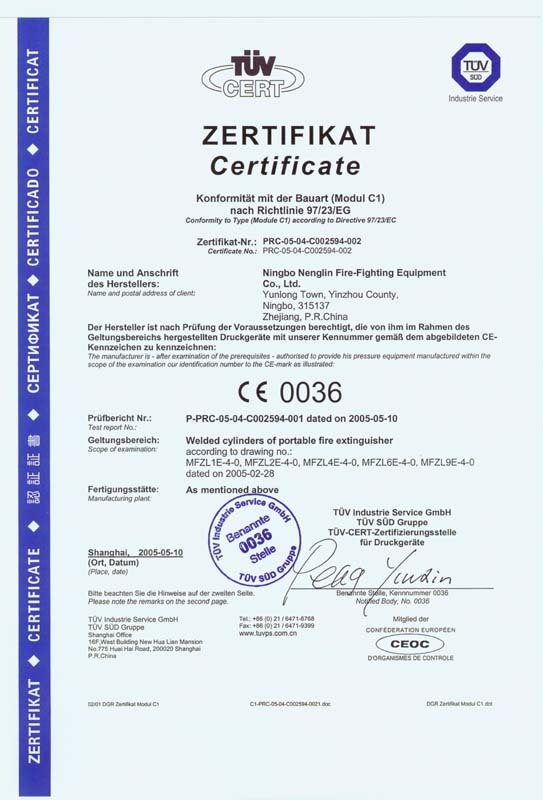 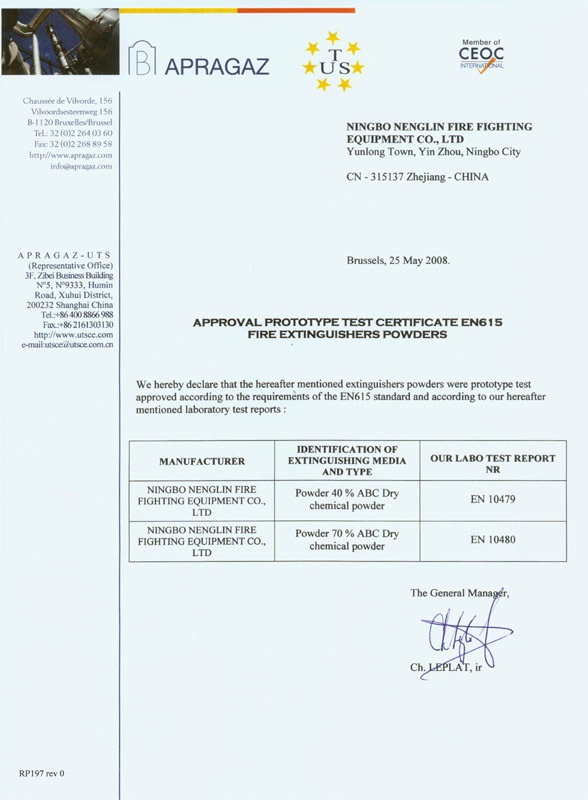 The productivity of two fire extinguisher product lines are 2,000,000 units per year and the productivity of stainless steel extinguisher product line is 200,000 units per year. - 2kg ABC powder Type "50% ABC DRY CHEMICAL POWDER"
- 2kg ABC powder Type "80% ABC DRY CHEMICAL POWDER"
- 6kg ABC powder Type "50% ABC DRY CHEMICAL POWDER"
- 6kg ABC powder Type "80% ABC DRY CHEMICAL POWDER"